The Youth Garden Project cultivates healthy children, families, and community through educational programs and the profound act of connecting people with food from seed to table. 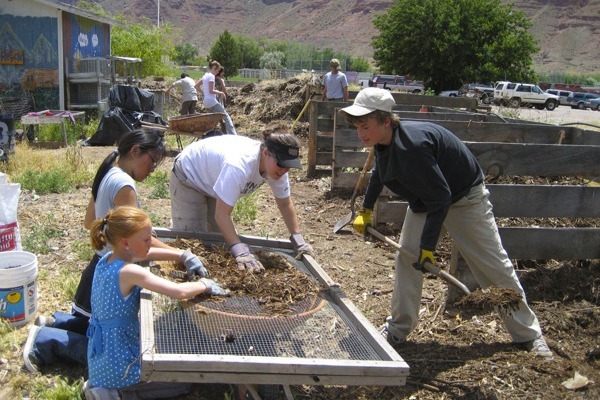 Individuals in the Moab community are offered several opportunities to volunteer at YGP. They can volunteer weeding and enjoy a garden fresh meal via our Weed ‘n’ Feed nights, help harvest for Farmers’ Market or the CSA, complete community service hours, help with our educational programs, teach a workshop, spend a day working alongside a YGP gardener, and more! To ensure that volunteers receive meaningful work it is important that you contact us to schedule a time and way you’d like to help. Contact Kate at 435-259-2326 or via email at kate@youthgardenproject.org. You can also go to www.youthgardenproject.org/volunteer/ to sign up and receive updates on volunteer opportunities.